Over the weekend the drift was +18 seconds for each guest (no ntp). The duration was 3900 minutes, so the error for each was +.0077%. this rate. 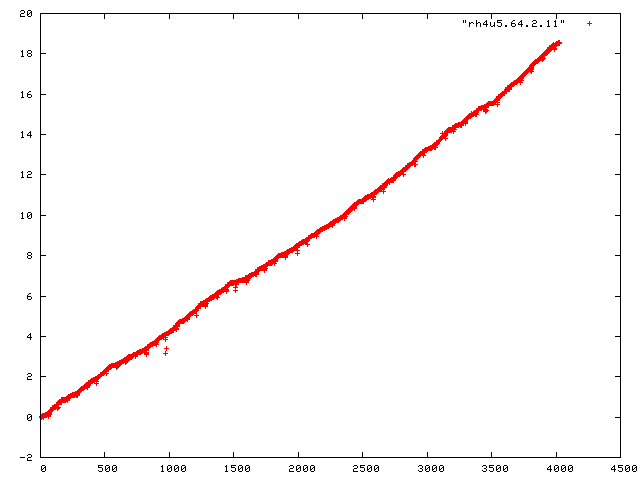 I've attached a plot for rh4u5-64. This accuracy is better than what I've seen before (.03-.05%). a fix I should propose. This still doesn't address the radical drift you saw. The next step for me is to run 3.2 and see if I can reproduce it.